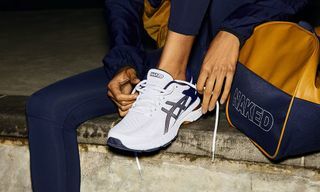 Key Features: This is a classic sneaker with a modern twist: a new red and gray colorway and ASICS’ cutting-edge GEL technology brings this ’90s silhouette into the 21st century. 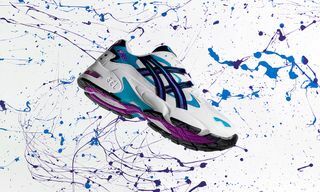 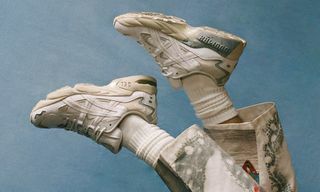 Editor’s Notes: The original ASICS GEL-KAYANO 5 model was released in 1999, and now we’re being treated to a modern update on the beloved chunky classic. 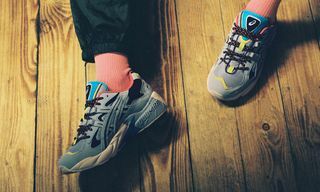 The red and gray accents give the vintage silhouette a fresh feel, and the new technology means the shoe is comfortable without ruining the authentic look. 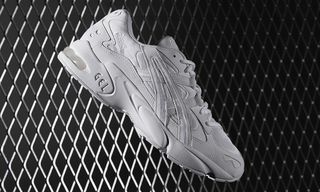 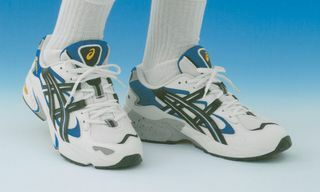 The remodeled GEL-KAYANO 5 is a prime example of fashion meeting function, and should be a hit with both runners and sneakerheads. 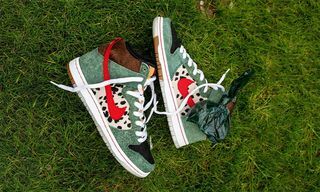 For more vintage kicks with a modern update, check out the upcoming Eric Emanuel x adidas Rivalry Hi here.